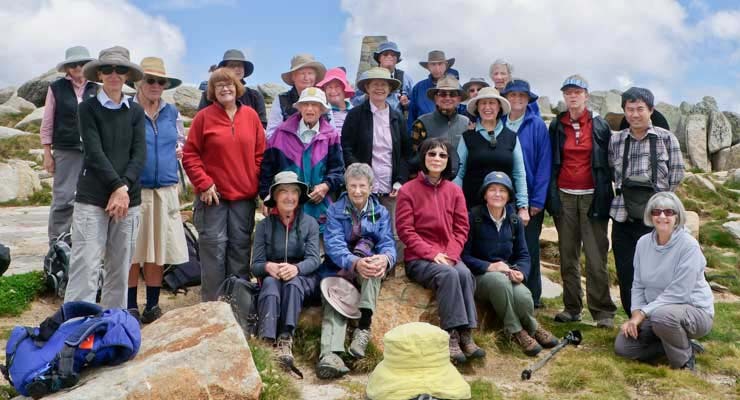 Weekday and weekend day walks in national parks, eg Blue Mountains National Park, the Royal National Park, Mt Kuring-gai National Park and others, as well as walks along harbour foreshores, and walks in historic suburbs and areas of natural beauty. Short holidays with day walks, with accommodation in tents, hotels and motels and using public transport or shared private vehicles. These holidays are often along the New South Wales coast but can be anywhere. Walks are graded according to their difficulty to provide variety and to cater for different abilities. A new walking calendar is worked out quarterly. Most walks use public transport. There is no need to book for a walk but prospective new members should call the leader before joining a walk for their first three walks. Note to prospective new members: Contact enquiries@wearamblers.org.au or phone (02)9477 1114 (Sally) or (02)9922 6338 (Val). You will be sent an information package which includes 8 weeks of our current walks program.